So I'm at the very end of a disappointingly un-new freezer aisle when something catches my eye. Something that doesn't say new but doesn't feel familiar. Something that has elusive cashews in it. Something that... is on sale for $3 a box. Ahh, at that price, who cares how "new" it is. milk chocolate cashew? 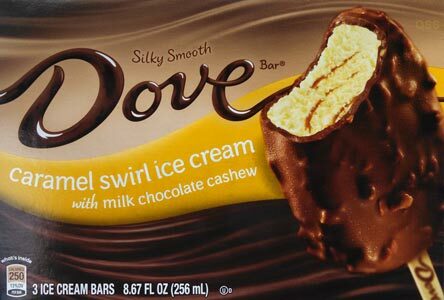 There's something we don't see too often, and I don't even remember the last time we reviewed something from Dove. Oh, alright, I'll grab it. It's a little more round than expected. I take my first bite, and I like it, like, a lot. It's very sweet but also quite salty. Like surprisingly salty (and surprisingly sweet really). That's right, sweet & salty for the win! It's a soft ice cream filling, and the chocolate is pretty much crumbling in my mouth, but it comes together in a very fun way. Oh man, I'm going to plow through this in no time. And it's gone, just like that. Sorry, I'll try to be slower on the second scoop. 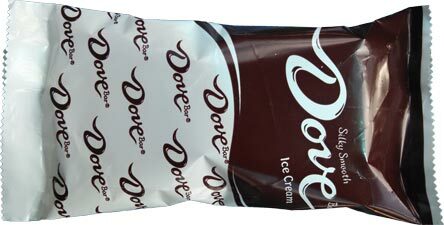 On Second Scoop: Yeah, I really like these. It's just a great harmonious treat with a strong salty profile that makes this one sing. The chocolate is nice and thick and just a ton of fun. The overall flavor is... I don't know really. The caramel swirls are paper thin, so they don't add much. The cashews do add flavor, but it's not overwhelming, more of an underlying nuttiness to the whole affair. It's there but not there shall we say. And then the salt, oh the salt, the salt makes this a pretty unique treat. It's just coming out of left park and with the chocolate to balance it out, man, It's almost like a salty, nutty candy bar. What a nice afternoon snack. 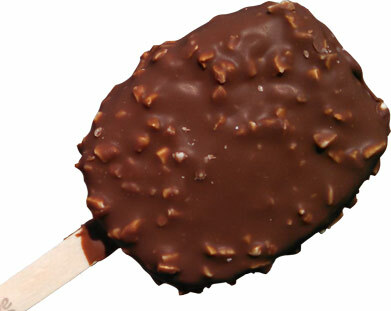 I so want to have the last bar right now, but I'll hold off until tomorrow.... must hold out until tomorrow. Love your blog! Thanks for all the great reviews. You always make me crave whatever you are reviewing. 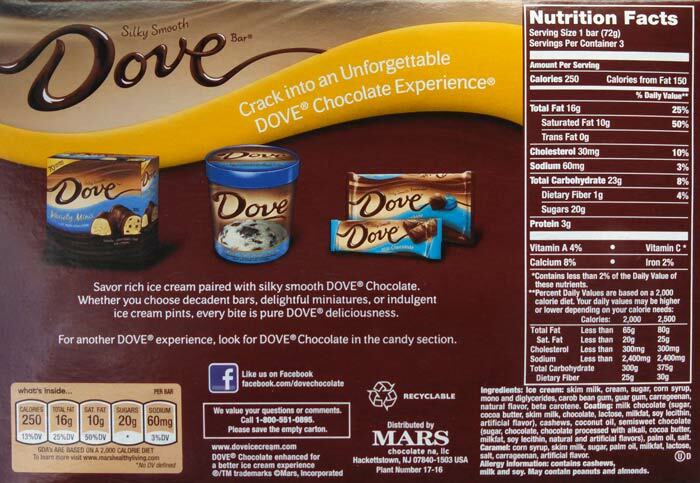 I will be looking for these bars, they sound delicious. Thanks for the review! Yeah, it feel like there are fewer new products this summer than there have been in years past. @Anon: Weird year, it's a mix of everyone dumping their new products super early and then most of the seasonal stuff is just repeats of last year's stuff.